We describe the idea of a Science Gateway, an application-specific task wrapped as a web service, and some examples of these that are being implemented on the US TeraGrid cyberinfrastructure. We also describe HotGrid, a means of providing simple, immediate access to the Grid through one of these gateways, which we hope will broaden the use of the Grid, drawing in a wide community of users. The secondary purpose of HotGrid is to acclimate a science community to the concepts of certificate use. 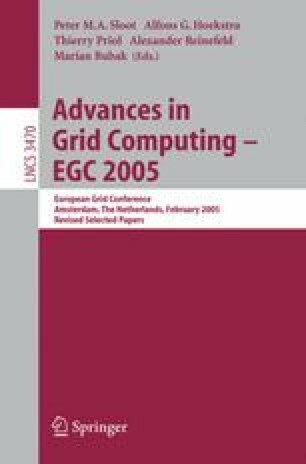 Our system provides these weakly authenticated users with immediate power to use the Grid resources for science, but without the dangerous power of running arbitrary code. We describe the implementation of these Science Gateways with the Clarens secure web server.